HTC Global Services is an Inc. 500 Hall of Fame company and one of the fastest growing Asian American companies in the US with headquarters in Troy, Michigan. 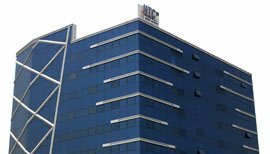 A global provider of IT Solutions and Business Process Outsourcing services, HTC's client base spans several Global 2000 organizations. Chennai. Are you looking for jobs in Bangalore, Pune, Mumbai, Hyderabad, Gurgaon?